This ring is like wearing fireworks on your finger! 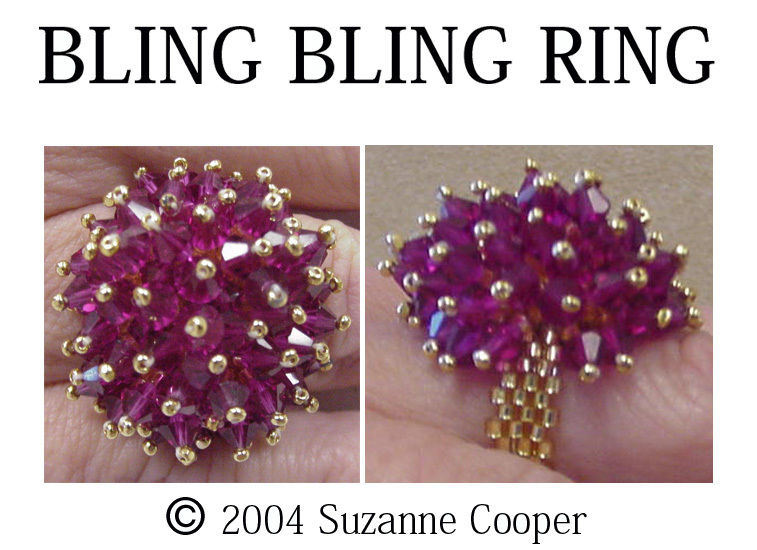 It's easy and fun to make and has enough bling bling to make a movie star jealous. I made this ring with Swarovski crystals, Delicas and charlottes. You can use any 4mm faceted beads, round beads or pearls. Choose your own colors; one for the Crystals/Pearls and one for the band and accents, OR use the same color for both! Detailed stitch Instructions are NOT included.